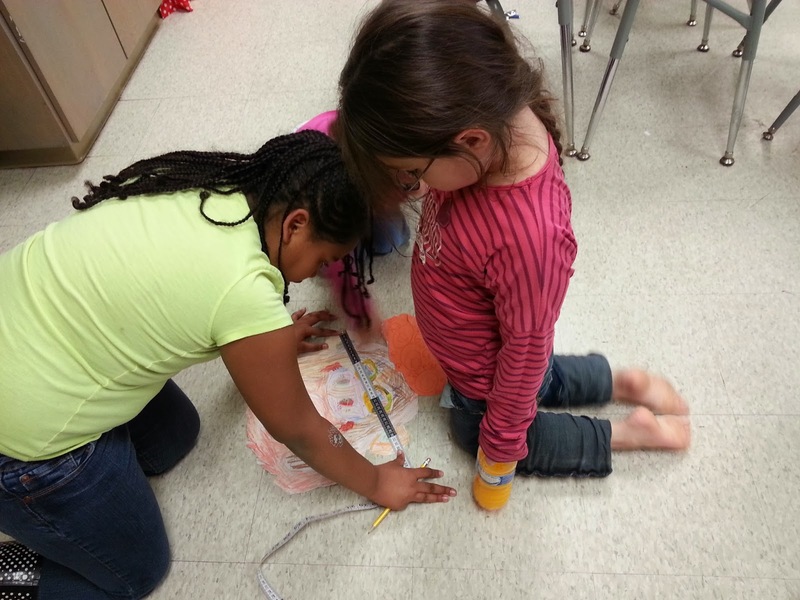 Measurement may be one of the best units I teach in math. My kids always love using rulers, measuring tapes, yard and meter sticks, balance scales, and clocks. This year, it just lined up with the timing of my teaching about fairy tales from around the world, so we were reading Jim and the Beanstalk, Jack and the Beanstalk, Kate and the Beanstalk, and Jill and the Giant last week, when I decided to abandon the BORING math books and go with making giants, giant glasses, giant wigs, giant false teeth, and giant beanstalks. In case you're unfamiliar with Jim and the Beanstalk, the story is a take on the old Jack, but when Jim reaches the top of the beanstalk, he finds a depressed giant who can no longer see well, eat any fried boys on toast, and is bald, to boot! Jim tells the giant all about glasses, false teeth, and wigs, and then proceeds to have them made for the sad giant. Of course, he must measure the giant's head, mouth, and face, ear to ear, for all the new goodies he's getting, so that's just what we did. 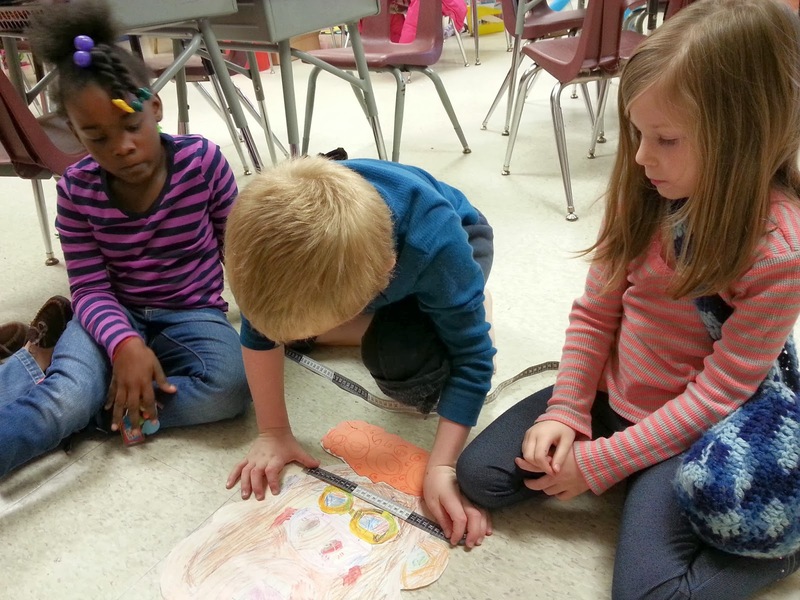 I drew a few giants and then the kiddos took all these measurements in centimeters. 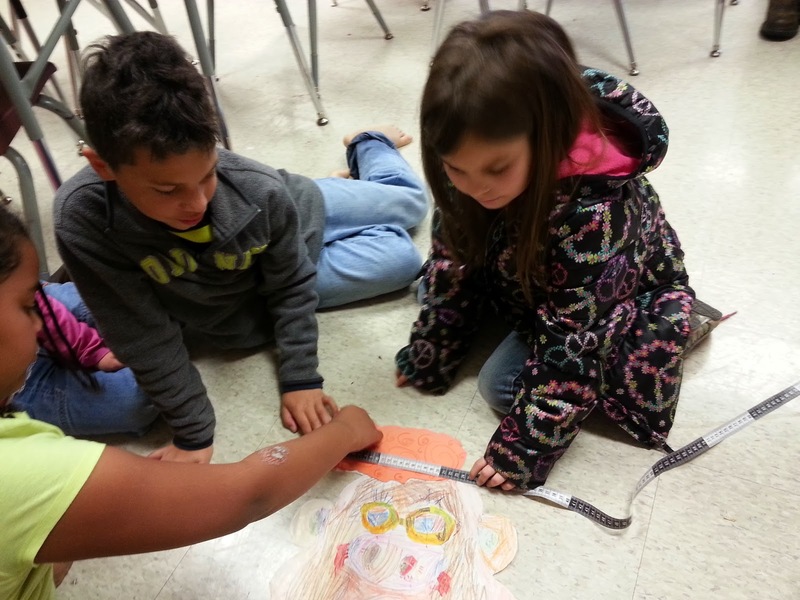 While they measured, I worked on making beanstalks in several lengths. They measured those in inches. It was a great time to show how to start the measuring tape over, how to straighten something not so straight before measuring, and how to determine the best tool to use, rulers, yard sticks, or measuring tapes. 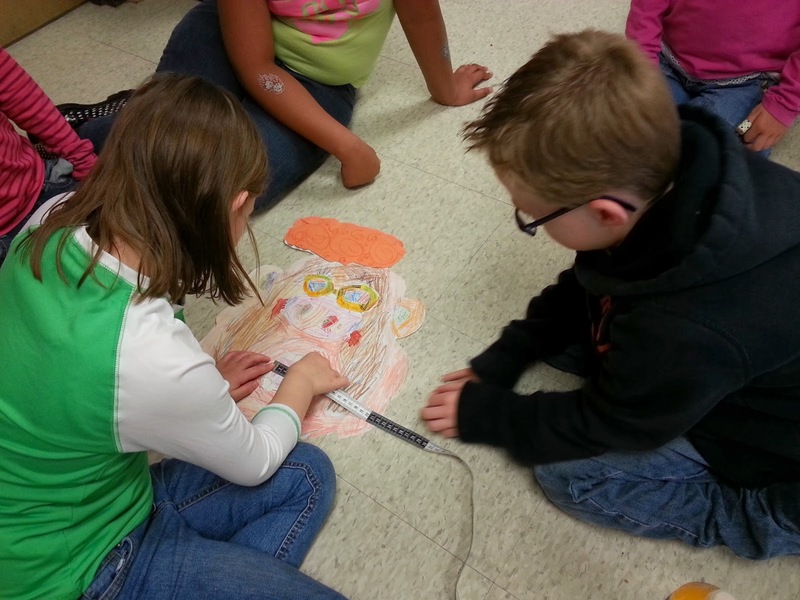 Next, the kiddos used their measurements to create glasses, wigs, and teeth for their giants. Finally, they hung them at the tops of the beanstalks. This week, it's on to telling time. 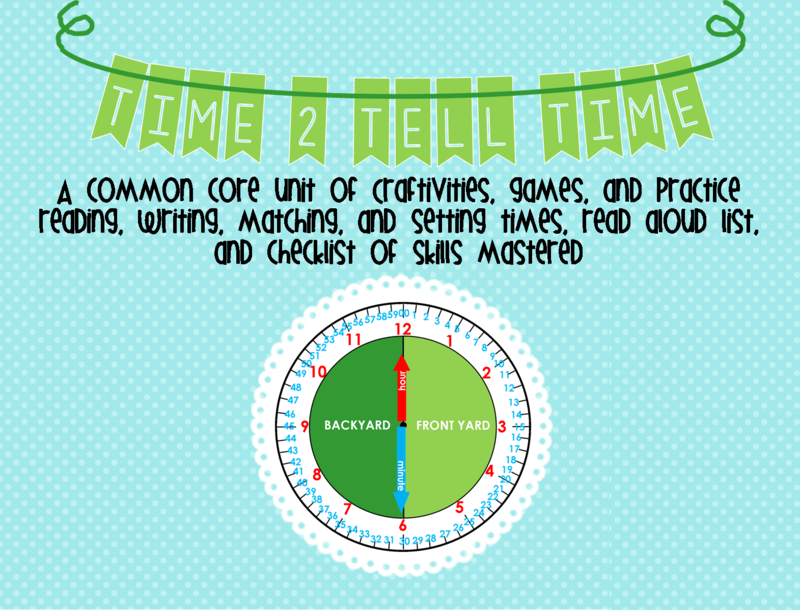 We'll be using my own newly revised Time2TellTime unit for most of our activities. I love all the hands-on activities and games included, and absolutely love the trick my friend Alex taught me about using the front yard and back yard of the clock to tell time. Never heard of it? Me either, until this brilliant 7-year-old showed me! 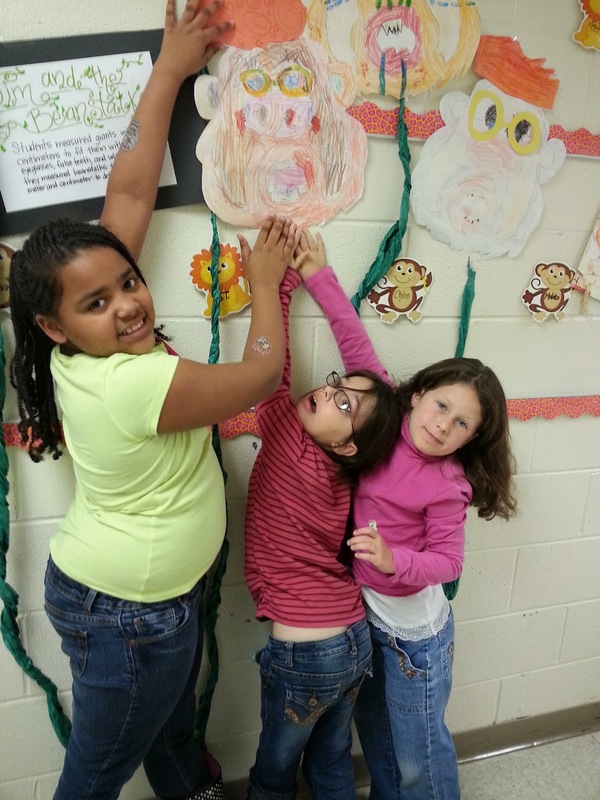 We'll also be finalizing writing our own fairy tales to have published in a class book...I can't wait! 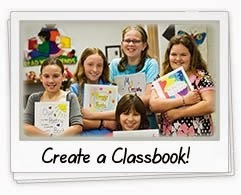 I've never done this before, but I somehow received an e-mail about getting a class book for free. It's hardbound, glossy, and beautiful! 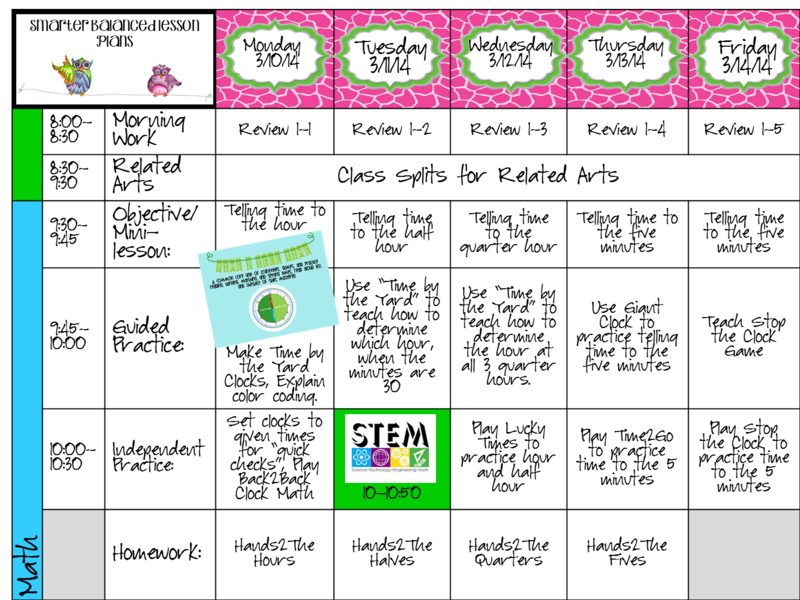 Each kiddo gets to put his or her own story and illustration in the book, and all we have to do to get it for free is turn in order forms, whether parents order or not! 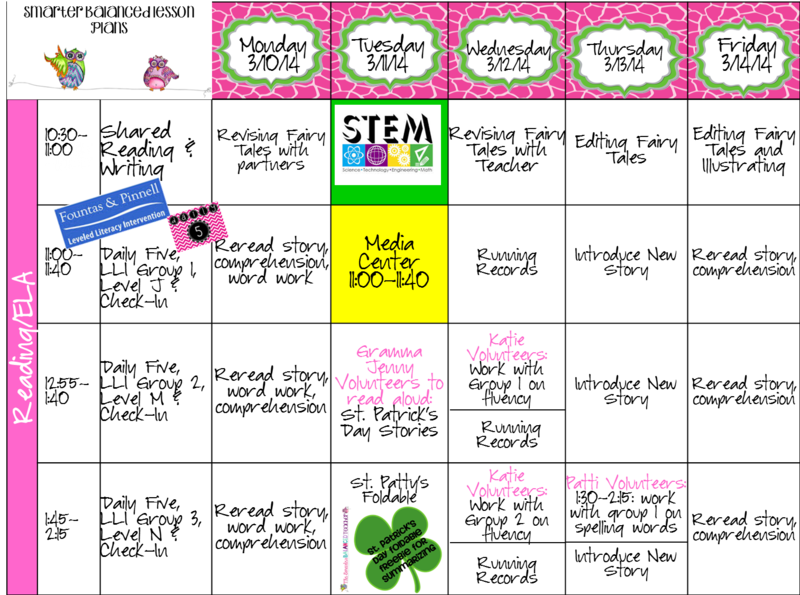 It's from www.studentreasures.com. 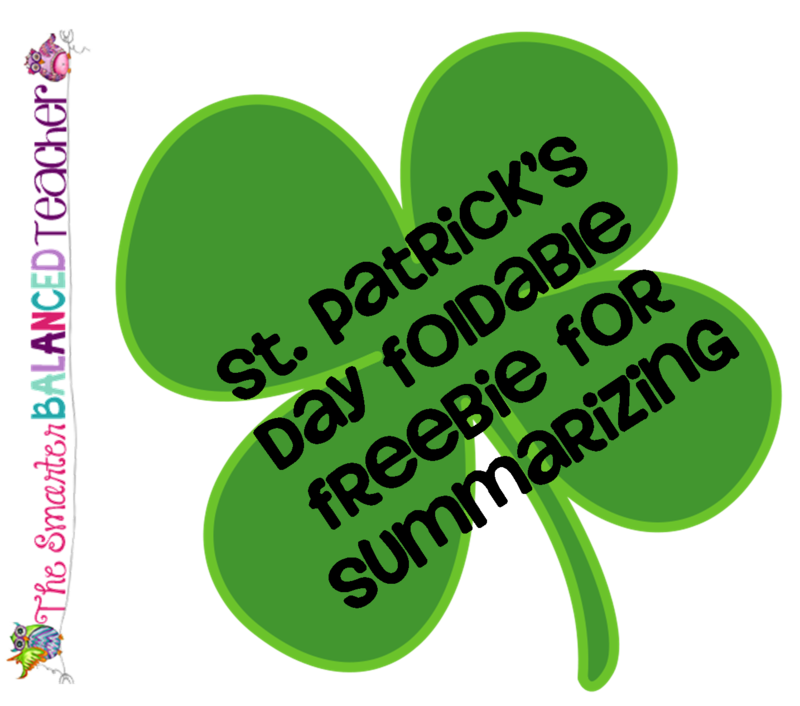 If you've hung in there with me for this long you deserve my St. Patty's Day Foldable Freebie! 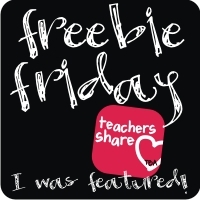 Just click to go to my TPT store and grab yours.